Tube & Berger invite a selection of close friends and producers to remix last year’s ‘We Are All Stars’ album. Forming 15 years ago, T&B have released on FFRR, Defected and Suara, evolving from club DJs to live acts - merging elements of indie and electronica. May 2017 saw them release ‘We Are All Stars’, their sophomore album featuring an amalgamation of club-angled beats, orchestral sounds, synth pop and indietronic. The German duo has now selected some of their favourite producers to create their own individual interpretations. Featuring British vocalist Richard Judge, ‘Dust Feel’ has been given a club-focused update from Kittball co-owner Juliet Sikora in collaboration with label regular Flo Mrzdk – the result is built on snappy snares, rave inspired stabs and undulating bass complete with a breakdown. Dutchman René Amesz then shakes up ‘Lucky Shot’ with suspenseful synths and vocoder vocals, whilst Glaswegian duo Illyus & Barrientos take on ‘Ruckus’, blending Judge’s vocals with trippy atmospherics, before Spain’s Dennis Cruz provides his own interpretation with a rumbling low-end and shuffling percussion. 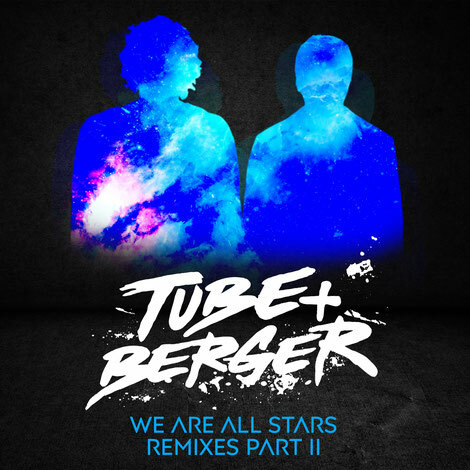 Tube & Berger ‘We Are All Stars Remixes Part 2’ drops on Kittball Records on 21 September.